Here it is – the moment you've all been waiting for: our #1 pick for the best PC Game Music Cover for 2018 and the award goes to RichaadEB for his metal cover of "Miami Disco" from Hotline Miami. I'll be honest here, I was pretty skeptical that a metal cover would work for "Miami Disco" – I mean, it's my favourite track on the Hotline Miami soundtrack and it's awesome just the way it is – adding distorted electric guitars isn't always the way to go. 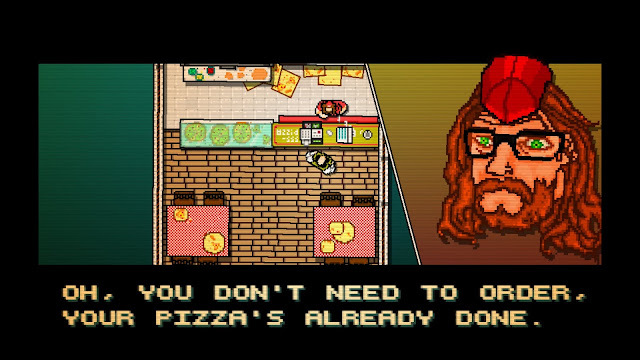 However, in the past, I've been skeptical about a lot of things which I ended up liking, Hotline Miami itself being one of them. RichaadEB's metal cover of "Miami Disco" is not only passable, it actually improves on the original as it teleports you back to the 80s where you couldn't escape a wailing guitar solo if you tried. The track would work perfectly in an 80s action flick montage where the hero is stylishly dispatching his enemies one by one, making his way closer to a room where the Big Bad awaits him. It's really that good. I've listened to the music multiple times now and it's become my favourite version of "Miami Disco". If you like RichaadEB's music, you can purchase it from Google Play or iTunes. His music is also on Spotify or you can support him through Patreon. And that about wraps up our list, which PC game music remixes and covers did you listen to last year? Any that you think deserves to be on this list? Make sure you let us know in the comments.